Findlay Reservoirs Findlay Reservoir is in Hancock County. Reservoir #1 has 187 acres. Reservoir #2 has 640 acres. There is a total of 7.5 miles of shoreline. 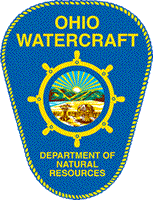 These reservoirs are in Ohio Division of Wildlife District Two(2). 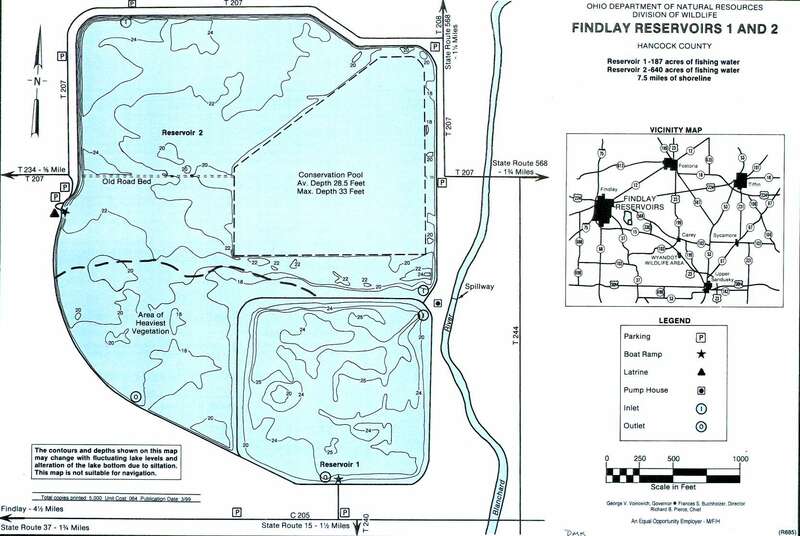 Location Findlay Reservoirs #1 and #2 are located southeast of Findlay. 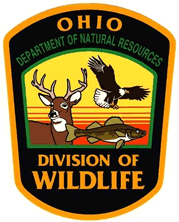 They can be reached by traveling 2.5 miles southeast from Findlay on State Route 37 to Hancock County Road 205 then proceeding east one mile to County Road 234 – north to Township Road 207 – then east to the boat ramp on Reservoir #2. Reservoir #1 can be reached by continuing on County Road 205 one mile east past county Road 234. Distance from Major Cities 4.5 miles from Findlay. 50 miles south of Toledo. 78 miles northwest of Columbus. 38 miles northeast of Lima. 97 miles southwest of Cleveland. Fishing Opportunities Both Findlay Reservoirs contain: *Walleye *Yellow Perch *White Bass *Largemouth and Smallmouth Bass *Bluegill *Rock Bass *Bullheads *Channel Catfish. Boating Information Reservoir #1; A single concrete boat ramp can be reached off of County Road 205. Electric Motors Only on Reservoir #1 . Reservoir #2; A double lane concrete ramp is located on the west side and can be reached from Township Road 207. Horsepower limited to 9.9-hp on Reservoir #2. Reservoir #2 has docks. Both reservoirs have floating fishing piers near the ramp. 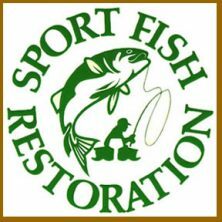 State Management The Division of Wildlife activities include ~ the initial stockings of fish ~ creel studies ~ monitoring fish populations ~ physical and chemical water analysis.